You are officially invited to this year Fantasy Faire 2010 and support the American Cancer society throught Relay for Life in all the ways you feel able too, even a little can do much, remember that. 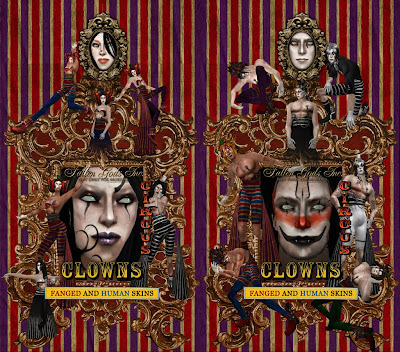 The Fallen Gods Circus this year presence on Dark Realms, so we await your visit kindly. A lot will go on, from shows to simple improvisations and gatherings. 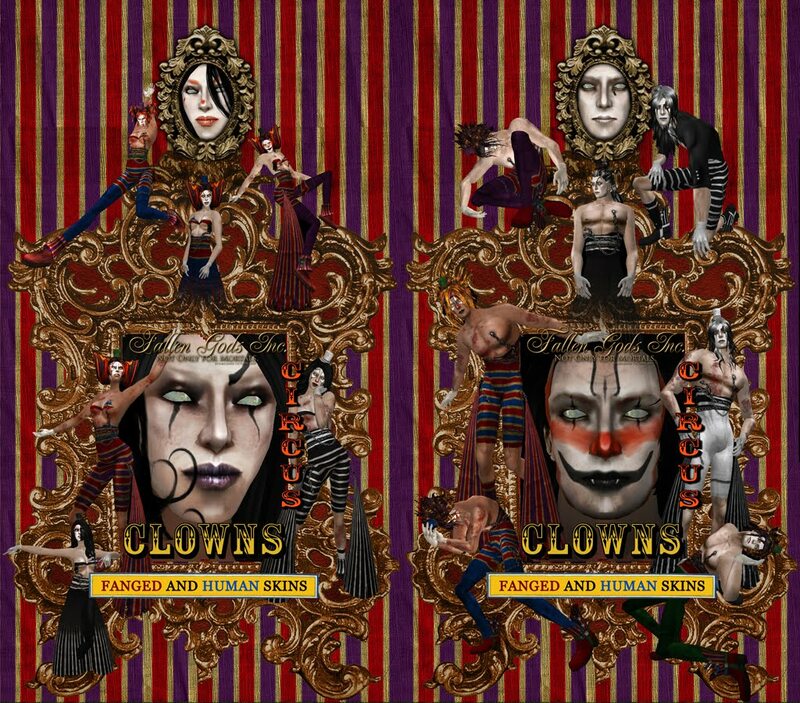 And we hire clowns, ever thought of joining our band of nomads and live your life in a Circus? 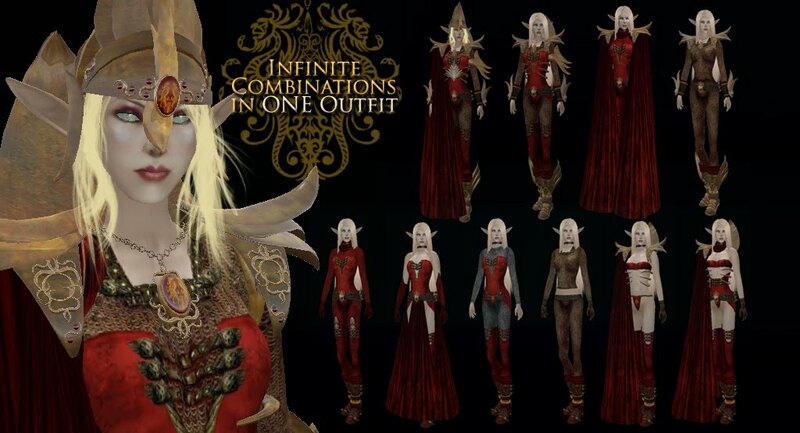 Clown skins and outfits are available, and all its proceeds for the Faire duration will go to RFL. 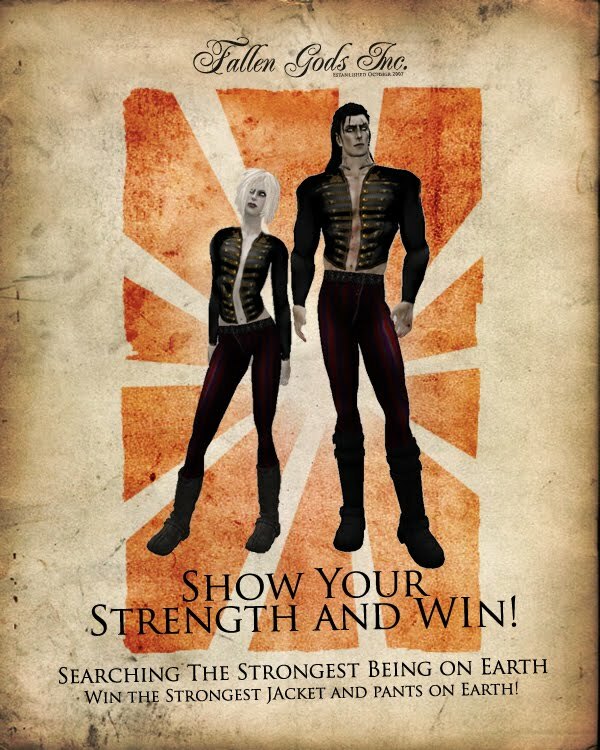 Acrobat outfits are available to has the patience to find Fallen Gods Inc, 3 purple ribbons in the building and... show your might and strength with the Strongest Man Game for a unique outfit! 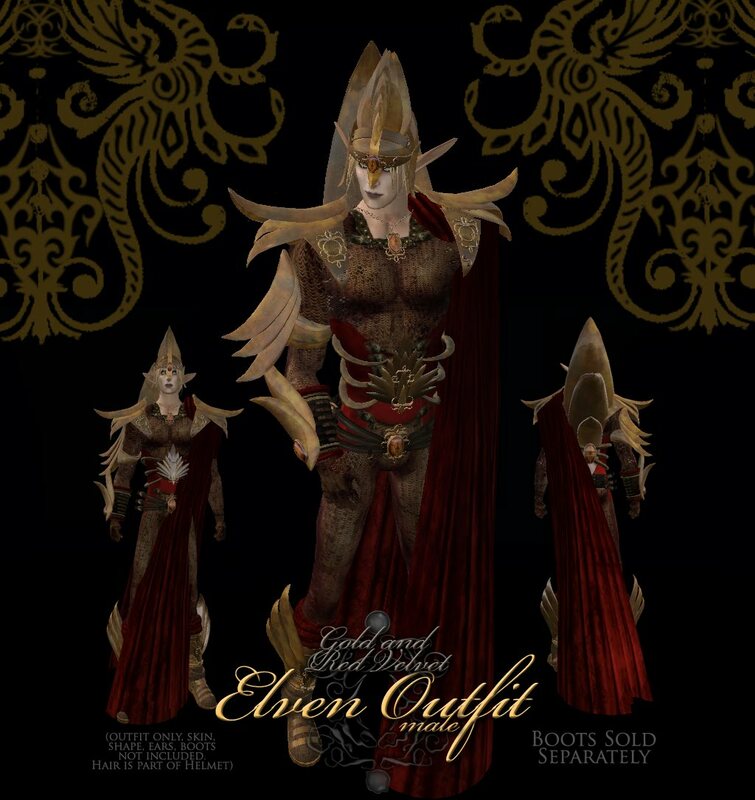 Remember: The Faire lasts till the 25th of april. 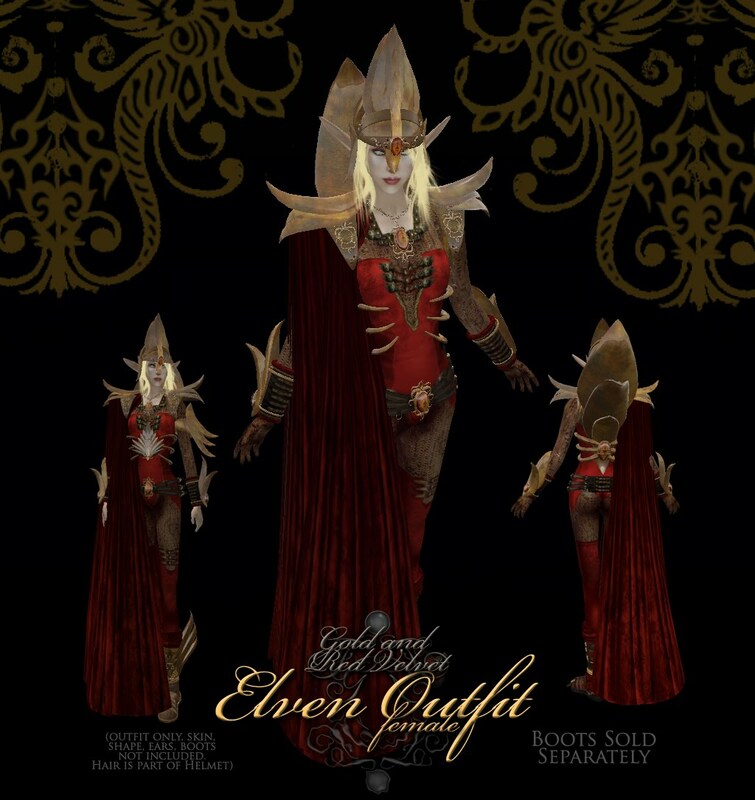 For any further information about Fantasy Faire check the official Website, there's entertainment, amazing creators and all for a good cause scattered through 9 sims, you officially cannto miss that! 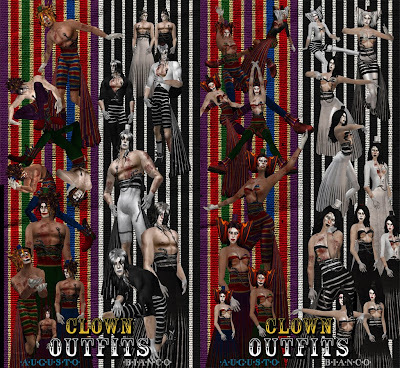 Clown skins, each gender available in Fanged and Human, and 9 make ups for each. And if this is not your style, you can always show your strength! 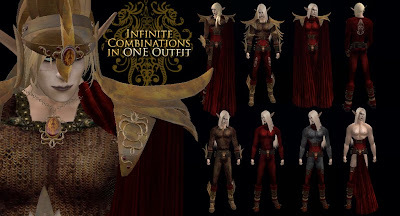 But if you are seeking for Uniqueness, then the Sigma Evolution skins are for you. Start to bid now to get this unique family line of skins. See you in Hell, Lurch. 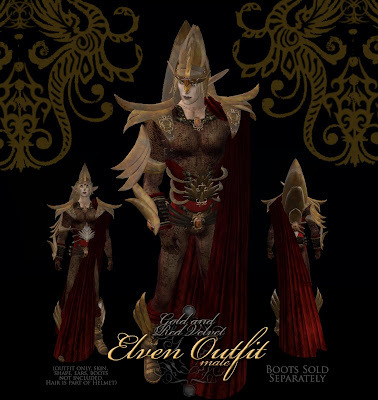 So finally, after months and months of working over it in spare time, I placed both hands over it and ended the famous and infamous Gold and Red Velvet Elven Outfit for High Elves, the Nobles. It's My favourite and the one I always wanted to do, but thought not many will appreciate that tones as the first Mithril and Steel ones. I anyway hope you enjoy it and find a way to express your incredible snobish attitude!